Another year, another list of Oscar nominations that disappoints but doesn’t really shock horror fans. 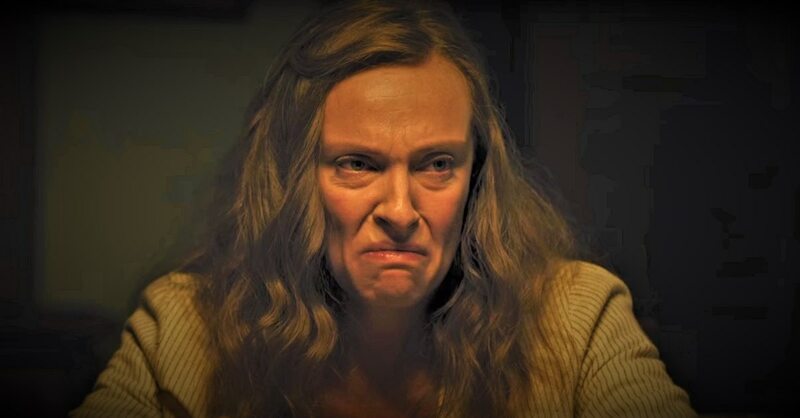 While there are a couple of noms for us to celebrate (Border for Makeup and Hair and Best Sound Editing for A Quiet Place), there are some rather glaring omissions that have been talked about for the past several months, most notably Hereditary‘s Toni Collette for Best Actress. Don’t get me wrong, I’m just as incensed that A Quiet Place didn’t get more nominations, such as Best Picture, Best Screenplay, and Best Actress (Emily Blunt was amazing, y’all). But time and again we see independently crafted horror films get pushed to the side while independently crafted drams, comedies, or dramas get rained upon with accolades. We see this over and over as horror is considered the red-headed stepchild, the black sheep, the whatever you want to call it. Collette’s performance in Hereditary is precisely the kind of acting that the Oscars should be gushing over. It’s a wild blend of grief, rage, desperation, and a stellar juxtaposition of trying to maintain control while recognizing there’s essentially no point. From her wracking sobs at [REDACTED]’s funeral to her smoldering rage during dinner, Collette imbued Annie with electrifying and captivating confidence. Horror performances often go unappreciated to all but us in the community and that’s why it’s so important to keep lauding and celebrating them. If the masses won’t listen then it’s our job to make sure these performers know just how much their work means to us. They need to see our love. They need to see our admiration. They may not get a statue on their shelves but they’ll know that legions of us have their backs. To the Academy, congratulations on your nominations. I truly hope that you have a wonderful night celebrating people who rightfully deserve the accolades of even being nominated. You should all be rejoicing and I hope the elation you all feel lasts. All I ask is that you open your arms a little wider at some point in the near future. Horror doesn’t bite, it doesn’t harm, and it certainly doesn’t discredit. We’re waiting to be invited and I promise that we’ll bring one helluva party when the door is opened! So, we hope to see you next year. Fangoria Resurrects the Chainsaw Awards and Dread Central Presents’ TERRIFIER Snagged Three Nominations!